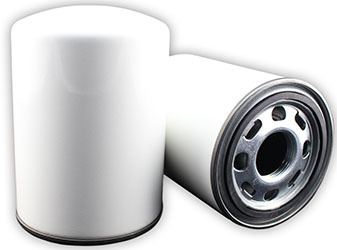 Shop at the BIG FILTER STORE for quality replacement hydraulic filters, and get BIG savings today! Looking for great low pricing and we don't have it? Let us know and we will gladly price match or beat the competition's price. Reduced pricing on all our in stock spin-on filters! Why shop at Big Filter Store? With almost 1 million crosses, we have one of the largest hydraulic filter cross reference available on the internet. We cross reference over 1,000 OEM companies in our hydraulic cross reference to help you find the replacement filter you need. Since most of our systems are automated, we pass on the savings to you! For almost all the hydraulic filter elements we sell, we make technical data available on our website. Some of our filters are made by the same manufacturer that makes the original OEM's. All our filters are manufactured with quality in mind. They meet or exceed OEM specifications. None of our filters require you to buy cases quatities. Buy them 1 at a time or as many as you require. We ship stock items within 24-48 hours! If you find better pricing on a filter replacement elsewere, let us know. 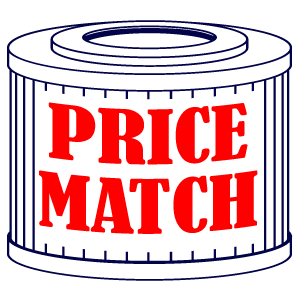 We will do our best to price match it!